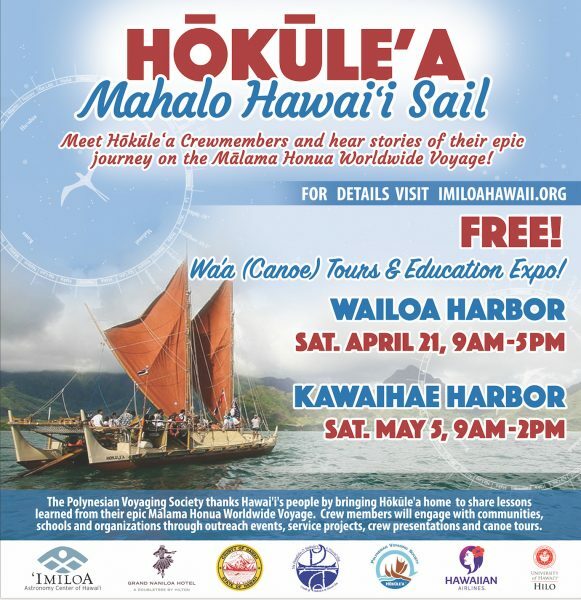 Hilo, Hawai‘i – The iconic Hawaiian double-hulled sailing canoe, Hōkūle’a, will be coming to Hilo on its Mahalo Hawai’i Sail and presenting a free public event on Saturday, April 21st, from 9am – 5pm at the Wailoa Pier. 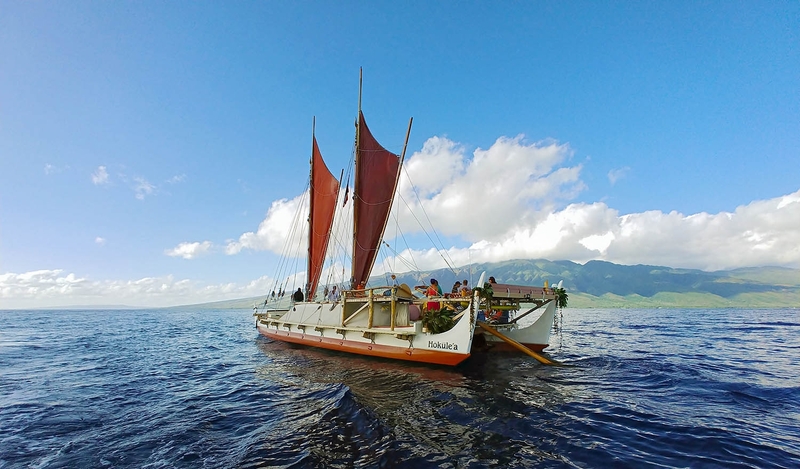 The Polynesian Voyaging Society (PVS) has embarked on a six-month statewide journey to express its mahalo to numerous segments of the communities throughout Hawai’i for their tremendous support of the three-year Mālama Honua Worldwide Voyage from 2014 to 2017. Another purpose of the Mahalo Hawai’i Sail is to reach out to thousands of schoolchildren across the state, offering canoe tours and hands-on educational activities that showcase ocean navigation through the lenses of science, math, culture and conservation. The first half of the voyaging canoe’s statewide mission took place from August through October, 2017. 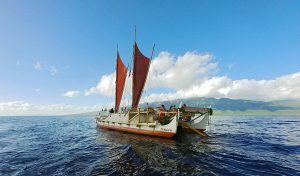 On March 24 of this year, Hōkūle’a resumed its Mahalo Hawai’i Sail and departed O‘ahu (Sand Island) for Hawai’i Island, where it will be docked at various ports for two months. During each of its major port visits, crew members will engage with communities, schools and organizations through outreach events, service projects, crew presentations and canoe tours, with the mission of sharing wayfinding lore and lessons learned from the voyage. In conjunction with the free canoe tours there will be an education expo where exhibitors will highlight related educational opportunities and environmental stewardship programs to “mālama honua,” or care for our planet. For its Hawai’i Island itinerary, the canoe will first anchor at Kailua-Kona Pier on March 30 and 31 before setting sail to arrive in Hilo on Thursday, April 1. It will be in Hilo until Tuesday, April 27 and depart for Miloli‘i for an overnight stop on Wednesday, April 28. The last port of call for Hōkūle’a will be Kawaihae Harbor on April 29, where free canoe tours and an education expo are scheduled for Saturday, May 5 from 9:00 a.m. to 2:00 p.m.